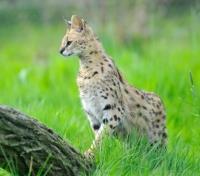 Come face to face with exotic animals at an open air nocturnal zoo. Enjoy a ride on Southeast Asia's first Sentosa Luge track. 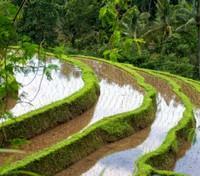 Learn about mountain farming life and visit the rice fields of Jatiluwih. Soak up the sun and relax on pristine beaches. 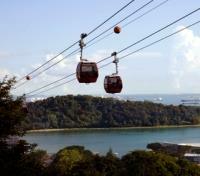 Start your tour with a Cable Car ride from Mount Faber to the State of Fun – SENTOSA. Enter a world of colours at the Butterfly Park & Insect kingdom and allow 1,500 live butterflies – from over 50 species – to flutter about you. Embark on a Journey to the Centre of the Earth - a one-of-a-kind adventure in Journey 2 – The Mysterious Island The 4D Adventure. Make a grand entrance into the larger-than-life icon – the legendary Merlion is a half fish guardian of prosperity which personifies Singapore’s history as a port city. Discover the awe-inspiring world of life in the ocean at SEA Aquarium, the world’s largest aquarium. More than 800 species of marine animals. A private vehicle with driver will pick you up and provide a transfer between the pier and the Airport, for 6 people with 2 pieces of luggage each. 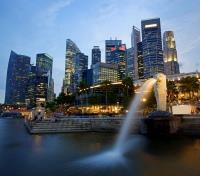 Fly from Singapore to Denpasar (Bali), Indonesia. Flight time is approximately 2.5 hours. 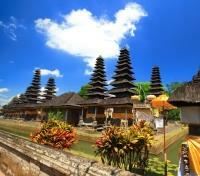 Discover Bali’s cultural heart in the island’s central highlands, minutes from the artistic capital of Ubud. Hidden in a lush paradise beside the Ayung River, Four Seasons Resort Bali at Sayan has been recognized as one of the world’s best resorts on the Conde Nast Traveler, Gold List 2014 and Conde Nast Traveler, Platinum Circle 2014. 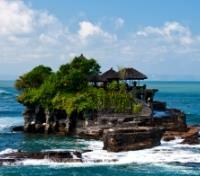 Arriving at Four Seasons Resort Bali at Sayan is a breathtaking, unique-in-the-world experience. Relax in ultra-private accommodations – with just 60 suites and villas. Dine on authentic local cuisine. 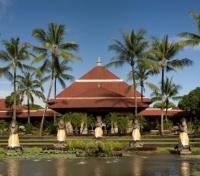 Pamper yourself with Balinese Ayurveda-inspired spa treatments. 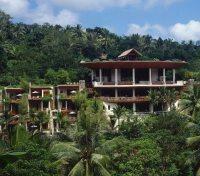 And discover the exciting range of culture- and nature-oriented activities destined to thrill both couples and families.